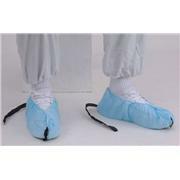 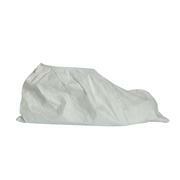 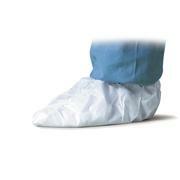 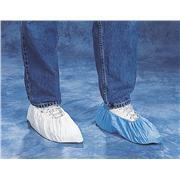 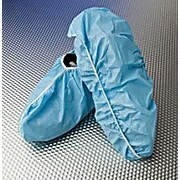 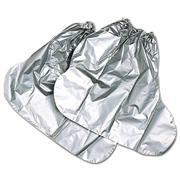 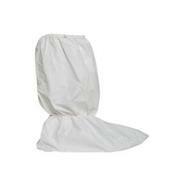 Disposable general purpose/cleanroom shoe cover with heat sealed seams. 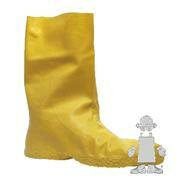 Lightweight and impervious to liquids. 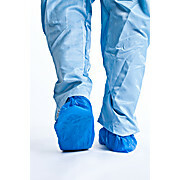 100% virgin polyethylene extruded fabric. 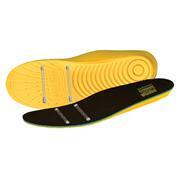 Elastic opening for a snug fit. 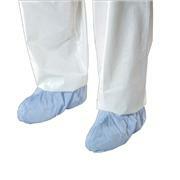 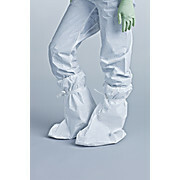 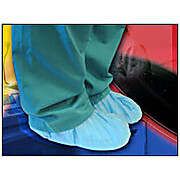 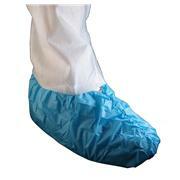 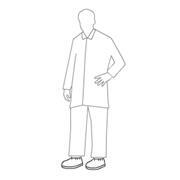 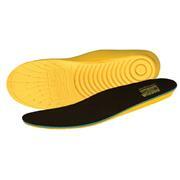 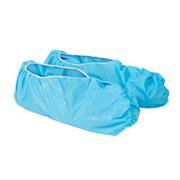 BioClean CPE sterile disposable overshoes are the economical choice. 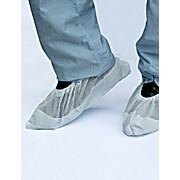 BioClean Dual™ Disposable Sterile Overshoes are practical and durable, featuring a heavy-duty textured cast polyethylene slip-resistant sole for a secure footing. 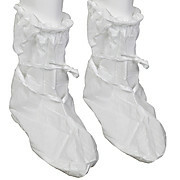 The single use BioClean-D™ Disposable Overboots are constructed from antistatic low-linting CleanTough™ material, and feature a slip-resistant sole and tie fastenings for quick and easy donning. 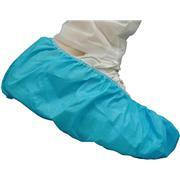 Aqua Resist II Shoecover, Nonskid, Seamless, Light Blue,300 each per case. 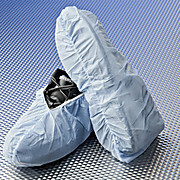 Disposable cleanroom shoe cover with sewn/elasticized seams. 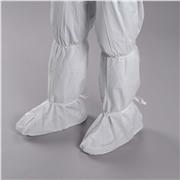 PE laminated fabric is durable, impervious to liquids, and suitable for use in clean environments. 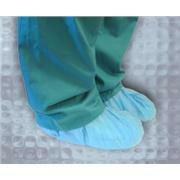 Physical 100% virgin polyethylene extruded fabric laminated to polypropylene. 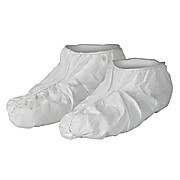 Elastic opening and bottom seam for a snug fit. 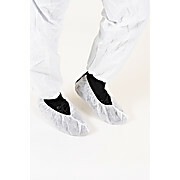 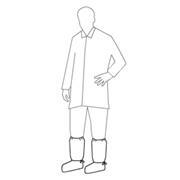 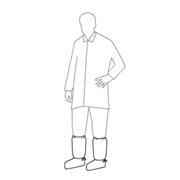 BioClean ESD™ Cleanroom Overshoes have non-marking conductive tape providing excellent dissipative properties. 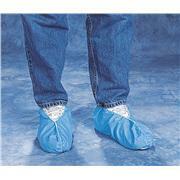 Manufactured from non-woven spunbonded polypropylene to ensure low levels of particle shedding.